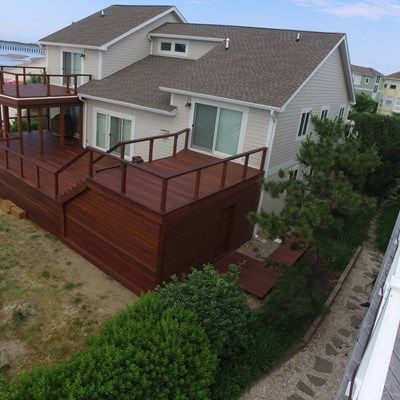 We built a 1400 square foot multi level IPE deck complete with 1200 square feet of IPE skirting and a 200 square foot IPE walkway. All decking was 5/4"x5.5". 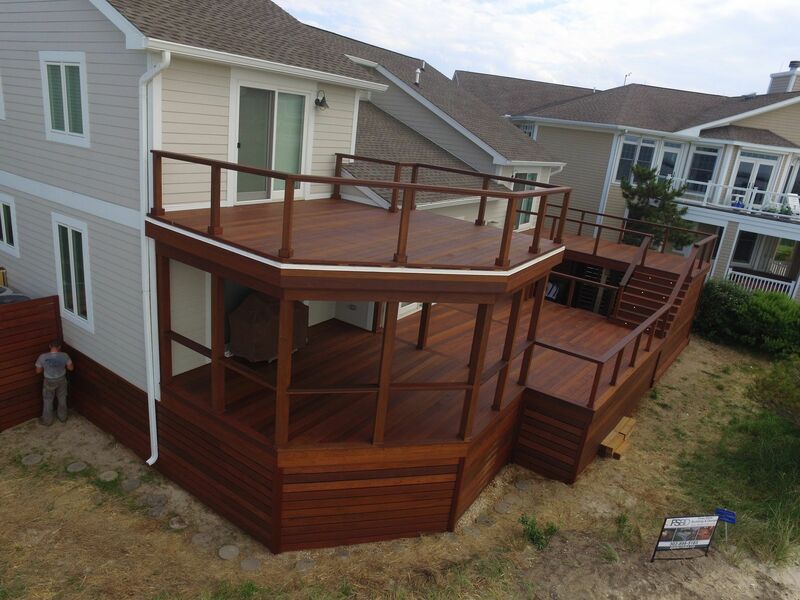 All railing was complete with IPE members and stainless steel 3/16" cable. We also installed tongue and groove IPE boards on the ceiling of the porch. All lighting was done using LED riser lights and LED down lights on selected rail posts. We also built custom barn style doors at the entrance into the deck and into the shower area. 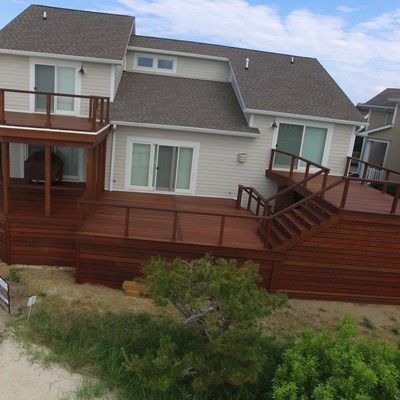 Deck is located on the water of the Delaware bay.